Mother’s Day is fast approaching, and I think we all have the same thing on our mind. How do you show that incredible woman in your life – your mother, your partner, your wife, your friend – that you love and appreciate her? It’s a challenge. Gifts for people you truly care about always are. So we asked the ladies in our lives what kind of gifts they would love. What would really make a difference and have a lasting impact on Mother’s Day. Wait a sec… did that sweet lady in your life ask for something specific? Listen. Communication is everything in any relationship. Showing her that you listened to what she wanted tells her that you hear her, respect what she says, and shows that you are a great listener. 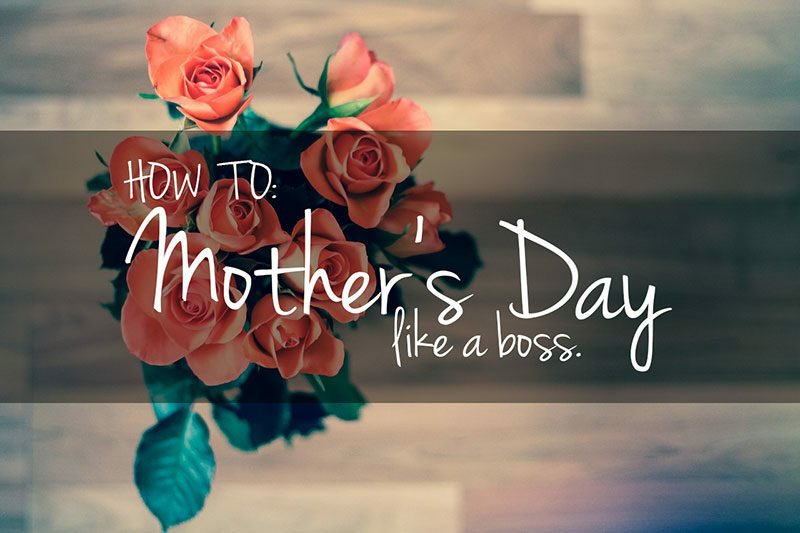 Lucky you, you have the easiest job ever this Mother’s Day! For that personal touch, give her an extra gift that comes from the heart. This could be in the form of a lovingly written letter or a thoughtful throwback to the past, showing her you have put mental thought into this gift. Being a mother is a lot of work. It’s the job that she signed up for, and one that she obviously loves, but even mother’s need the day off sometimes. Let’s go beyond the clichéd breakfast in bed and give that gorgeous woman a whole day where she is numero uno. Definitely start with breakfast in bed – after all, who doesn’t love a classic? But do the dishes after too. Heck, take it a step further and clean the whole house! Make sure your special someone is being well taken care of off at a day spa somewhere or having a much needed lazy day in bed to watch her favorite cheesy movies while you look after the kids and get that household in tip top shape! Enlist the kids in your mission to make sure mama feels like she is the queen of the castle today. It might be a lot of work. You might actually have to spend all day running around completing old, unfinished household projects, scrubbing floors, wrangling children, doing laundry, and all that jazz. But as a mother, she likely does this every day… so roll up those sleeves and get to it! Finish off the day with a romantic dinner. Whether it’s at her favorite restaurant, a sweet sunset picnic with the family in the park, or something you prepared for her at home, don’t miss out on the little details. Today, she is the hero! Personal growth is a hot topic lately. And why shouldn’t it be? Growing as individuals, loving ourselves, and becoming the best versions of ourselves has become a priority. 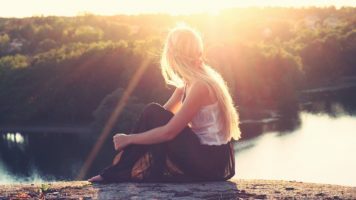 Help her on that path to personal growth by supporting her journey. Perhaps it’s supporting that new hobby or pursuit she has been excited about (running, cooking, painting, rock climbing) by treating her to some gear that she may not have shelled out for herself. Maybe it’s buying her a pass to a local yoga studio so she can use the meditative practice to center herself. Keep an eye out for what she’s interested in and help her achieve her goals! Or maybe it’s something really big. Maybe it’s something that could actually change her life. 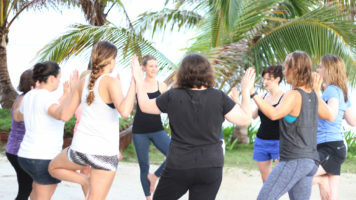 Send her on a luxury personal growth and yoga retreat that is designed to help her discover the best version of herself. The Reset Retreat program features daily yoga, life coaching, healthy meals by a private chef, luxury accommodation, and one of a kind adventures. Reset Retreat is designed to help her reconnect with herself, relax in ultimate comfort, and reset. 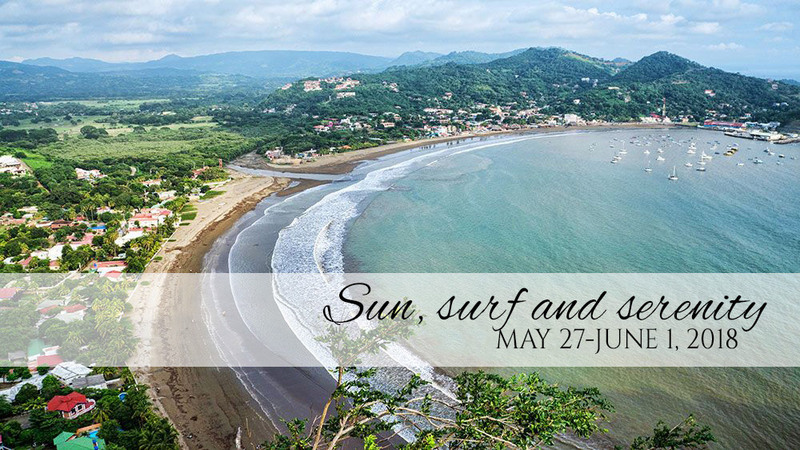 Find out more about the upcoming retreat in Texas and our beach getaway in Belize. Are you a busy husband? Daughter? Son? Is time one of the most valuable commodities in your life? Show her that you value her by making time. Yes, you may have to shuffle some things around in your busy work, fitness, or social schedule to clear some room, but this is an occasion when it’s worth it. Make sure you have the day, or the weekend set aside to spend only with her. Turn off your phone and focus on enjoying your time together and being in the moment with the most important woman in your life. Maybe you have some special skills that you can put to use to create something for her that takes real time and effort. Woodworking, music, food, landscaping, art? Use some of your limited time and skills to make her something that she will treasure forever. Romance the pants off of her! She’s your wife, your lover, the mother of your children. Your other half. It’s not hard to let romance fade when life and responsibilities always seem to get in the way. This is your chance to bring that romance back. A truly romantic date will require some serious planning. First of all, what does romance mean to her? What kind of scenes or relationships or scenarios get her excited in movies, on TV, and in the lives of people around you? Does she get that faraway look in her eyes when she talks about romantic gestures she’s witnessed or heard about? Pay attention! You can stick with the classics and recreate your first date or take her back to the restaurant you proposed at. Use your powers of creativity to set up a romantic scavenger hunt that goes back to locations that were prominent during your relationship milestones. Looking to make a big gesture? Create a big screen romance moment by doing something extravagant and epic… go skydiving and overcome a fear together, go on a helicopter ride over your city, climb to the top of a mountain and share a bottle of champagne at the top. Think about the things that she loves, dreams about, and plan something extra special that you can share with her. Mother’s Day is full of pressure and expectation, so communicate… listen… and keep in mind that as long as it’s her wants, wishes, desires, and needs that you are thinking about, you can’t go wrong. This is a woman that you love. Show her what she means to you. Not just on Mother’s Day, but every day. It’s the little things that show her that she’s on your mind, that she is your priority, that she is special, that lead to a happy, healthy relationship.